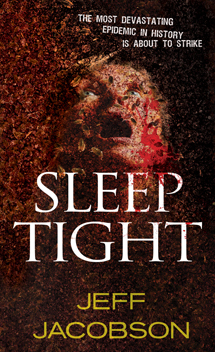 Sleep Tight - Doug Grad Literary Agency, Inc. They hide in mattresses. They wait till you're asleep. They rise in the dead of night to feast on your blood. They can multiply by the hundreds in less than a week. They are one of the most loathsome, hellish species to ever grace God's green earth. Thought to be eradicated decades ago, thanks to global travel they're back. And with them comes a nightmare beyond imagining. Infected with a plague virus so deadly it makes Ebola look like a summer cold. One bit turns people into homicidal maniacs. Now they're in Chicago. And migrating to all points north, south, east and west. The rest of the world is already itching. The U.S. government and the CDC are helpless to stop it. Only one man know what's causing the epidemic. Adn the powers-that-be want him dead. "A fresh new talent with an amazing ability to astonish."